***mix all together in a small pot, bring to a low boil, simmer. Stir one more time if need be. This allows all the spices to really blend well together. **optional: if you need a bit more sweetness than a tsp of honey does the trick for me. If a person uses stevia the best thing to use is full leaf or to use an organic drop. But I have found that honey or even some pure maple keeps to the fullness of the flavor. Stevia sometimes gives it a harsh aftertaste. mix together some of your own spices…the ones above with some nutmeg are a great chia blend for me. get some of your own chicory root from a whole foods/natural grocers store and put about a teaspoon in a tea bag or tea ball. I boil my water in my tea pot. Then I have my chai tea or mix, and my chicory root in the cup, pour boiling water over it, let it sit for about 2-5 minutes. I pull out all the tea bags, or tea strainer, then mix in the coconut oil and ghee butter. I stir it pretty vigorously with a fork to get it looking kind of frothy on the top not just oily. Then sip and enjoy…and feel the amazing energy you will receive from this! 1 bag of ANY TEA! ***steep together, pull the green tea bag out within 2 minutes, let the other tea bag still steep for another 2-3, for a total of 5 minutes. Sip and enjoy all the great antioxidants and health benefits of combining green with spices. GREEN TEA with: chia, licorice, peppermint, ginger lemon. The reasons I have gone more to tea rather than coffee are…. I love coffee but it has not been lovin’ me more and more this last couple of years. 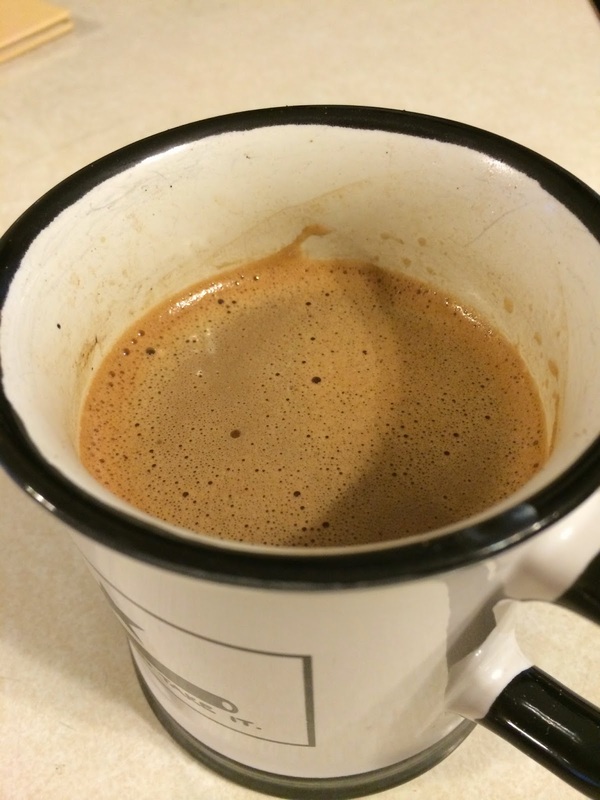 And after last year of knocking on adrenal fatigues door….well coffee and me just are not the greatest of mix. I have coffee from time to time, but I really monitor how much I drink and what might be going on in my schedule ensure I don’t have too many “stressors” to add to my adrenal system. 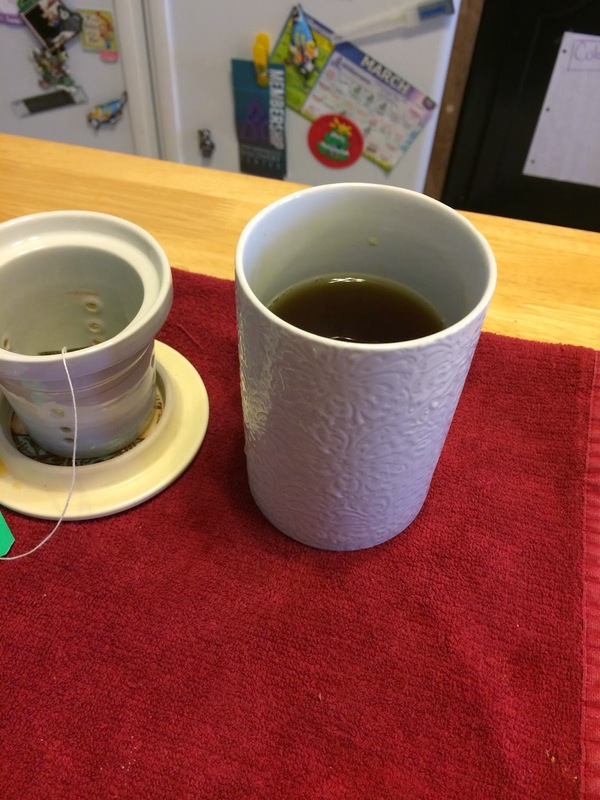 I have been experimenting with tea even more so for about 2-3 years now. I have become in love with this amazing beverage that I have taken to mixing bags together to see what flavors might compliment another. Or how can I receive the amazing health benefits of green tea without tasting the bitter taste (one huge tip: don’t oversteep!)? Tea has (herbal or traditional leaves: black, green, white) has some amazing properties that each can have some great benefits for a persons body. So click on all the highlighted words to find some of the links that I have found helpful in learning how amazing herbs and teas are for our systems. What I have been learning recently though is not all tea companies are treated the same. Not all are as dedicated in making sure we receive quality products. If our tea bag is coated with gunk, our herbs are sprayed with chemicals, then how on earth is our body going to reap the benefits of the tea and herbs so definitely check out FOOD BABES info that I linked here!